An ultrawide monitor is a great way to increase the PC screen real estate you have available to use multiple apps and games without needing to purchase more than one display and then suffer from a split between them. We rounded up some excellent options, including the most budget-friendly, the most attractive design, and one that's perfect for PC gaming. Sporting a resolution of 2560x1080, it's no 1440p but at only 25 inches, the low resolution shouldn't have a dampening effect on the visual experience. With this monitor, you get an IPS panel with two HDMI ports, FreeSync, and a refresh rate of 60Hz. It's possible to split the screen up to four times for increased levels of productivity and there's even a dual controller for connecting two PCs to the unit. 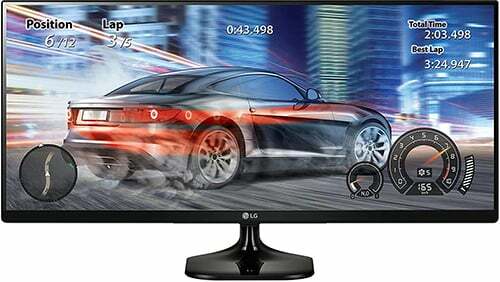 The 29-inch LG UM68-P is an ideal option for those seeking a 1080p ultrawide display with support for AMD's FreeSync technology. This added benefit eliminates screen tear and stutter by synchronizing the graphics card and monitor together for smoother gaming. To help improve gaming further, LG has included features like Black Stabilizer to help with dark scenes and Dynamic Action Sync for smoother, more fluid action. For connectivity, this monitor supports DVI, DisplayPort, and HDMI. The solid 75Hz refresh rate, however, is let down by a response time of 14ms. Should you own an NVIDIA GPU, you'll want the ASUS ROG Swift PG348Q. This display was designed with gaming in mind, utilizing G-Sync technology for tear and stutter-free gaming. 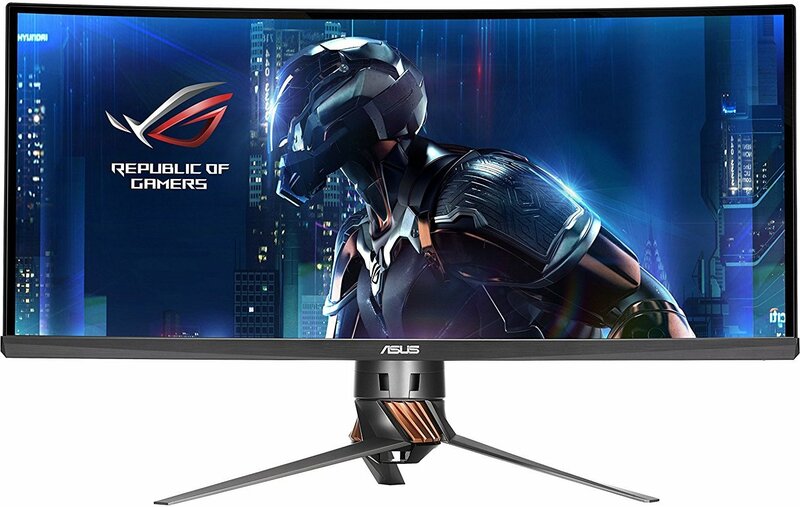 The 100Hz refresh rate, 5ms response time, appealing design, and 3440x1440 resolution makes it a solid choice for gamers, but the display is also good for work too thanks to the IPS panel for excellent color reproduction. There's also RGB lighting with HDMI and DisplayPort support. 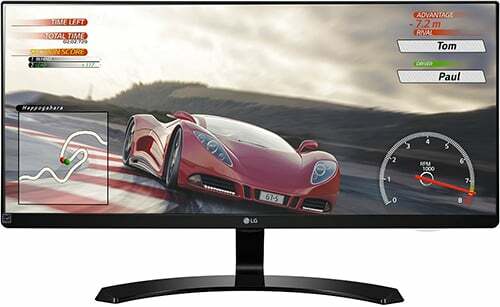 Another LG display in our collection is the 34-inch UC98-W. We have the usual LG features like Screen Split 2.0 and this panel is curved as well as being ultrawide. For those looking for a new monitor to game on, FreeSync is included here for tear and stutter-free gaming. While the monitor itself doesn't support VESA mounting, the stand can be tilted and adjusted to achieve your ideal position. You'll also get a 3440x1440 resolution, along with two USB 3.0 (with Quick Charge) ports, two HDMI, a single DisplayPort, and even two Thunderbolt ports. 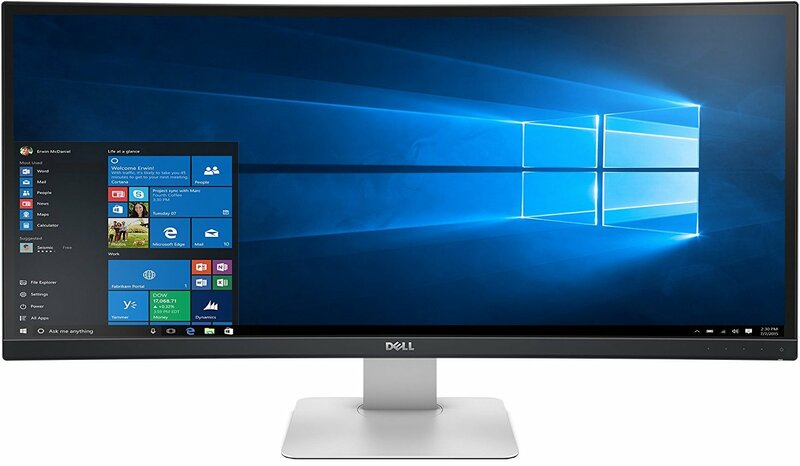 Dell's 34-inch 21:9 curved display has a 3440x1440 resolution, allowing you to get more done. Not only does the display itself look beautiful (Dell really kills it with design), you have ample ports to hook up all devices, including HDMI, DisplayPort, and Mini DisplayPort, as well as a USB 3.0 hub. You can have more than one input on-screen at once and there's even VESA mounting support so you can bring your own brackets and wall mounts. These are the best ultrawide monitors we've found for PC. The panels listed cater to different needs and requirements, for gaming or productivity. When looking at ultrawide panels, you should be looking at the resolution, port availability, as well as refresh rates and response times to pick the right one for you. 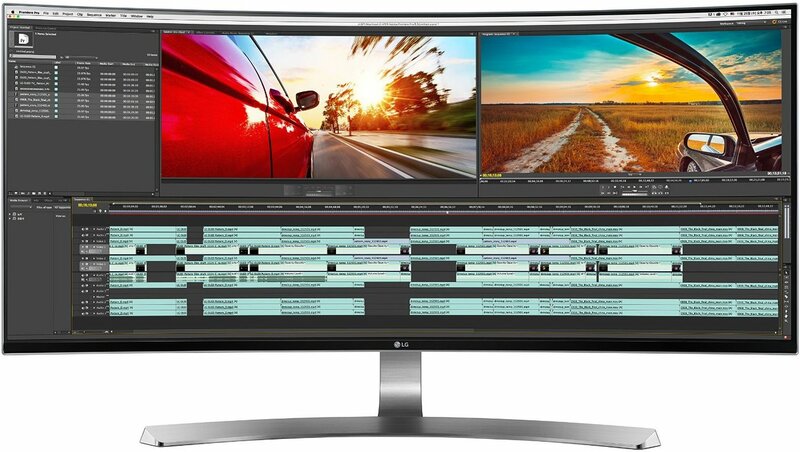 We're partial to curved displays, so if we had to pick just one the LG 34UC98-W would probably be it.